Sri Lankan food can often be time consuming and labour intensive. It’s well worth the effort but sometimes it’s difficult to find the time on a busy weeknight. Pol Roti is an exception. Easy, quick and tasty, it’s something we often eat during the week when the need for curry hits us and rice just won’t cut it. It took us a while to make Roti here in Seattle. Every single bag of coconut we found was “sweetened”. We finally happened upon it at the largely organic market WHOLE FOODS, and we’ve never looked back. Thank goodness, can you imagine life without pol sambol, roti or Anzac Biccies? Disaster! 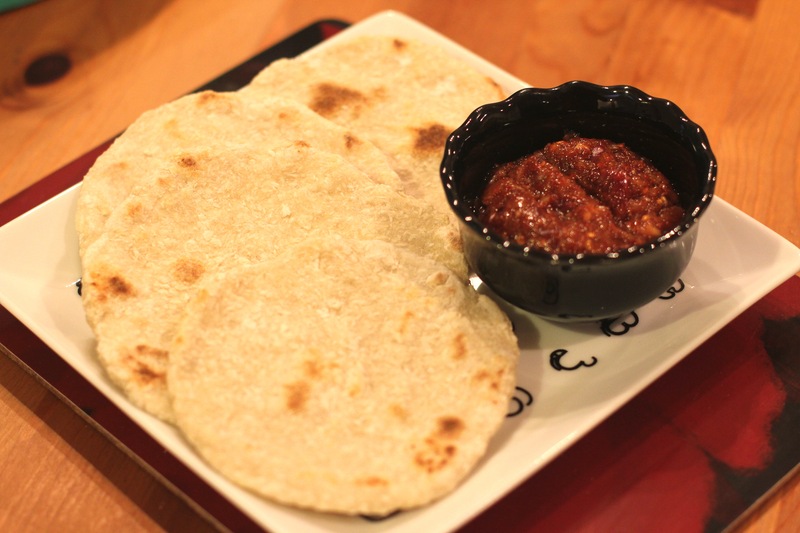 Roti is delicious by itself and especially with lunu miris (recipe below). It’s also goes perfectly with our chicken curry and a generous smear of butter! In a bowl place all the dry ingredients and the oil. Mix until the coconut is evenly distributed. 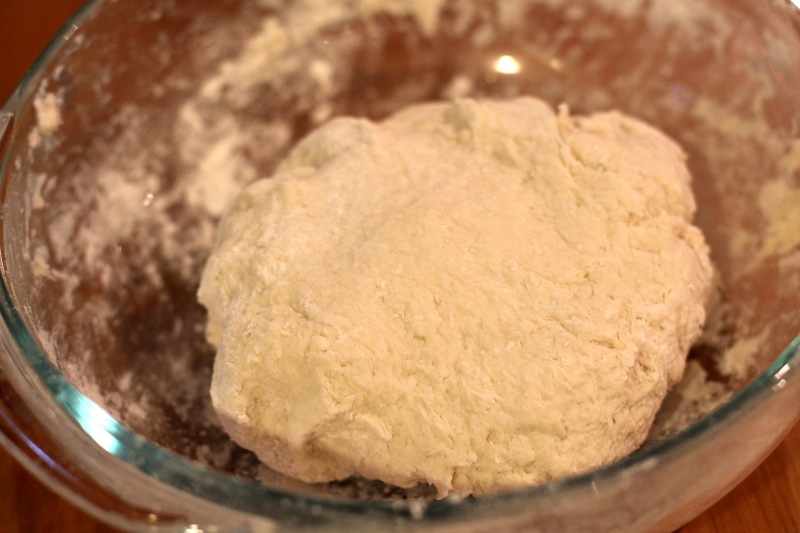 Now slowly add enough warm water to make a dough that comes to together in a ball. I used about 1 cup. Option 1: you can flour your bench and use a rolling pin to roll the dough out. 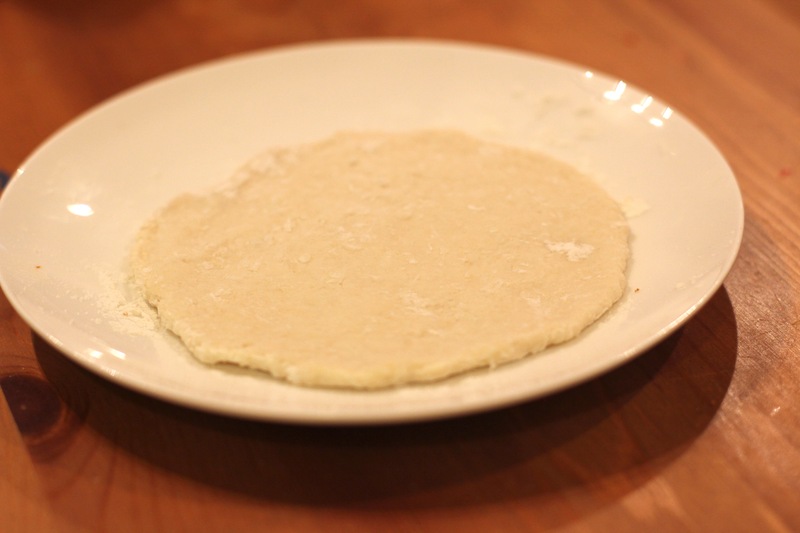 You can then cut the dough using a round cutter to get uniform circles. Then repeat until all the dough is used up. Option 2: Divide the large ball of dough into 8 small balls. 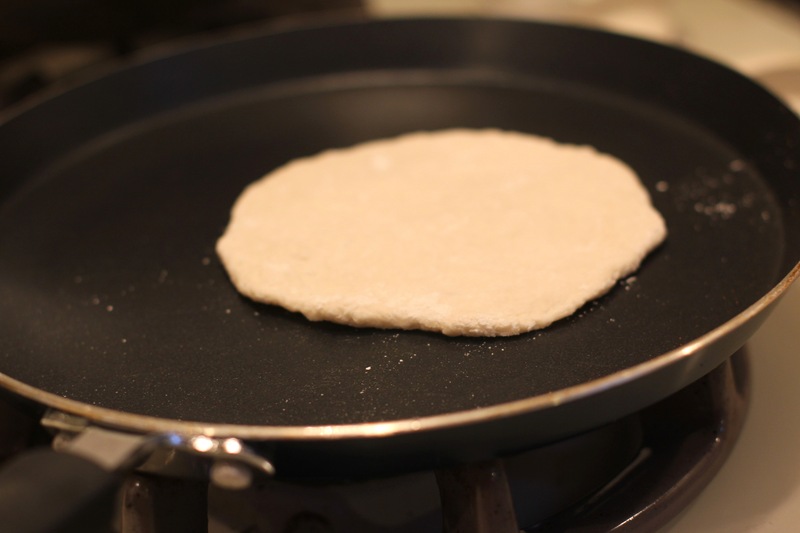 Now press the dough flat with the tips of your fingers until the roti is about 1/2 cm thick. Place a frying pan or crepe pan on the stove and turn the heat to medium. Place the roti on there one or two at a time. I like the roti to get some nice dark brown patches and keep turning them until I have some colour on both sides. 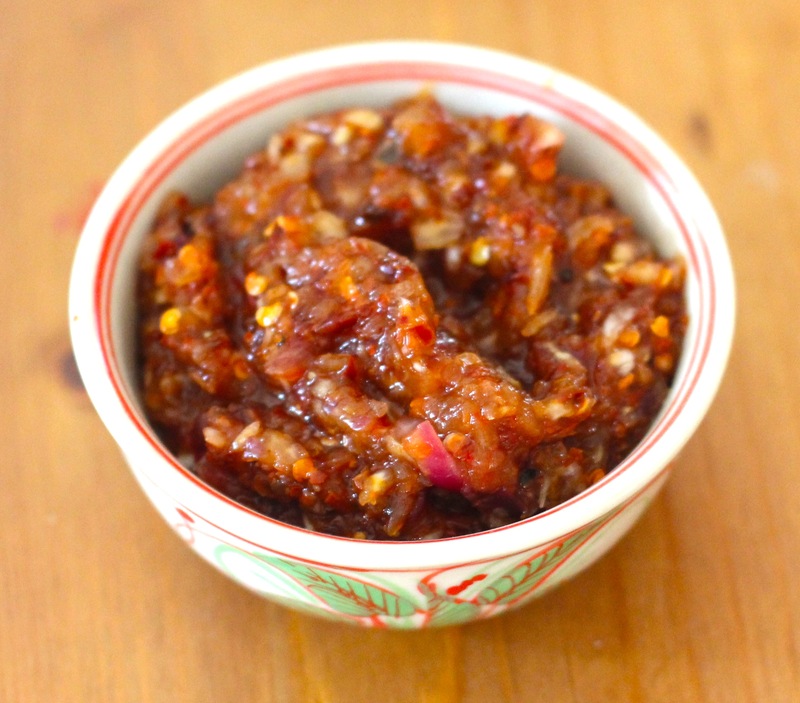 Cook all the roti and serve warm with Lunu miris (quite literally onion and chilli sambol). Uncooked rotis freeze really well so if you have extra freeze them with greaseproof paper between the rotis and then sealed in a ziploc bag. You can then cook them straight from frozen. In the bowl of a food processor place your onion, chilli flakes, maldive fish flakes, garlic and pepper. Now whizz it up until the onion is finely chopped and all the ingredients are well mixed. 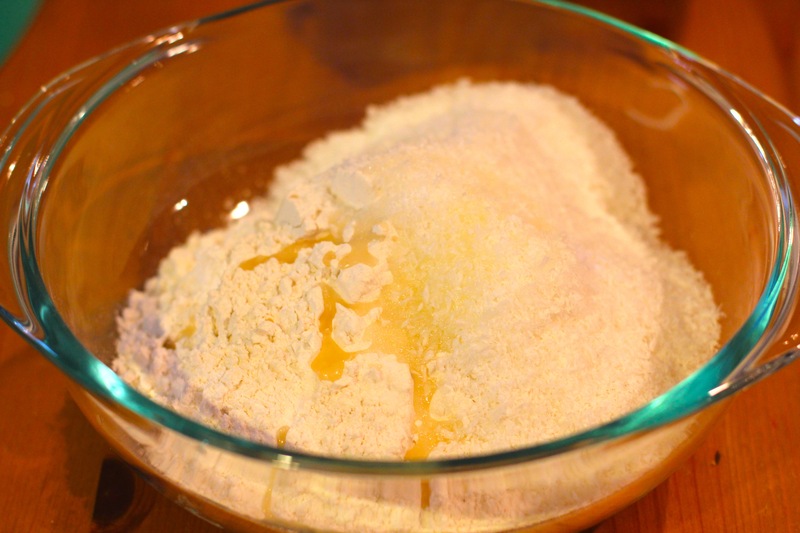 Place the contents in bowl and add the salt and lemon juice to taste. 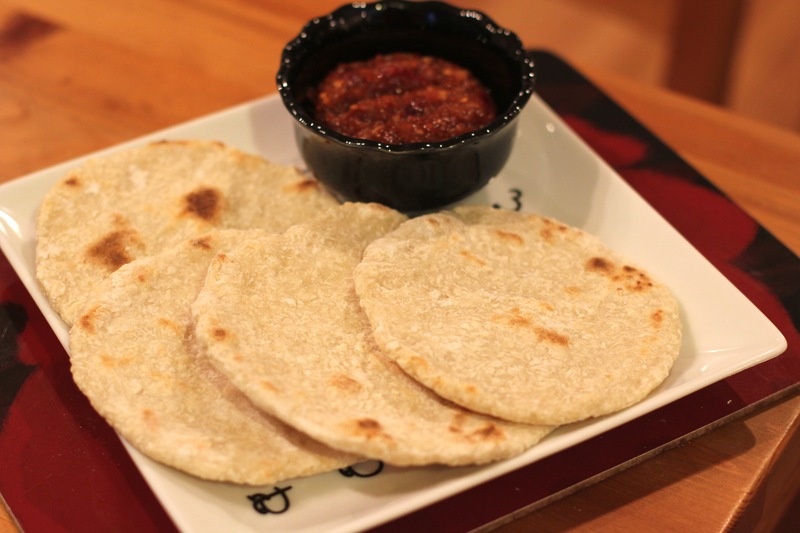 Mix and serve with your warm roti! Note: If you don’t have a food processor use a mortar and pestle and grind the ingredients together and add the salt and lemon juice last. Do you reckon the roti would be doable wheat free? Have you tried it? Also tip: depending on your plates, a bread and butter plate normally has a little rise on the underside that is perfect for squashing tortillas and maybe these 🙂 it works for burger patties as well. My aunt makes a rice flour version, so I’d say a hesitant yes. I have a bag of masa flour, I think that might work? And thanks for the tip, I’m going to go check out my plates. I think a combo of masa and GF would work well. Hi Akki, Your recipe prompted me to make roti for dinner tinoght. Fabulous! We had it with polos and fish.